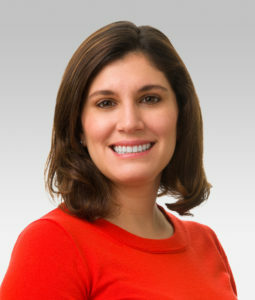 Betina Yanez, PhD, assistant professor of Medical Social Sciences, has received the New Investigator Award 2019 from the American Psychosocial Oncology Society. The award recognizes Yanez’s contributions to the field of psychosocial oncology, which aims to provide treatment and support for patients and their families during cancer therapy. Yanez’s chief interests include strategies to increase adherence to cancer treatment regimens, improve outcomes among racial and ethnic minority cancer survivors, and implement evidence-based interventions via communication technology platforms. She has published over 30 peer-reviewed studies in journals such as Cancer and Annals of Oncology, and currently is the principal investigator of several federally funded studies and trials. “My work bridges behavioral medicine, health equity and precision medicine to research improvements in the patient-centered and clinical outcomes of individuals diagnosed with cancer,” said Yanez, also a member of the Robert H. Lurie Comprehensive Cancer Center of Northwestern University. Yanez’s research program helps optimize cancer-related outcomes and enhances cancer care delivery by focusing on patient-centered care. “I plan to extend my work in psychosocial oncology to focus on the implementation of patient-reported outcomes in cancer care, expansion of health equity and community-engaged research to different communities and populations, and increase the reach of evidence-based behavioral oncology interventions across the Northwestern community,” Yanez said. The American Psychosocial Oncology Society (APOS) was formed in 1986 to bring together medical professionals working with the behavioral and social aspects of cancer. The society hosts an annual conference, held for the 16th year in Atlanta in 2019, and publishes the journal Psycho-Oncology. Cella is also director of the Center for Patient-Centered Outcomes at the Institute for Public Health and Medicine, and the associate director for Cancer Prevention and Control Research at the Lurie Cancer Center.